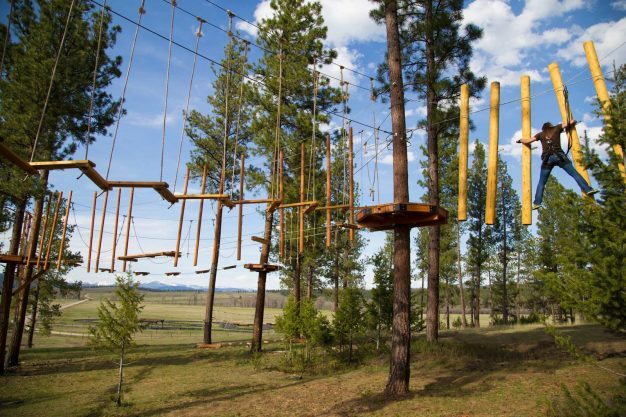 “Roughing it” means something a little different at The Resort at Paws Up: 37,000 acres of working Montana dude ranch, yes. Preparing your own food and sleeping in a drafty tent, no. At The Resort at Paws Up, you will rough it in style. You will enjoy authentic Montana dude ranch activities like trail rides, cattle drives, and chuck wagon dinners, as well as a wide array of wilderness adventures like fly-fishing the legendary Blackfoot River (10 miles flow through the Ranch), rappelling down cliffs memorialized by Lewis & Clark, sporting clays shooting, whitewater rafting, ATV tours, and plenty of kid-friendly fun. When you dismount that horse or put down that fly rod, though, you’ll be pampered with impeccably appointed private lodging, gourmet cuisine, and decadent spa treatments.